We started selling kayaks and canoes in 1990 soon after getting quite involved with paddlesports. The age old problem associated with canoes was how to transport them to all the places we wanted to paddle. Trailers, large vans and trucks are needed to move numbers of canoes and kayaks and the "Transport Industry" describes our products as "Ugly Freight" - we beg to differ as we view canoes and kayaks as things of beauty. Like us, our paddling friends were adapting simple roof racks to carry our toys and it was always good if you knew a welder who could fabricate a kayak carrier or two. Thule identified the need to supply roof racks specifically designed for moving big boys (and girls) toys. Canoeing was quickly joined by cycling as a growing active participant sport along with surfing, skiing,windsurfing etc - the rest is history. We also needed to move "loads of stuff" on and in our cars, kids buggies, beach kit, golf bags and much much more. Roof Boxes improved massively and as car designs evolved so did the design of roof boxes. We have partnered with Thule because we value their engineering and attention to detail. 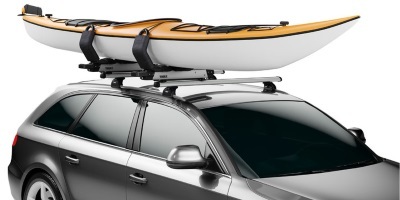 There was a time we offered several makes of roof rack and accessory but the others failed to match Thule on quality, fit and inovation so were discontinued. Having the right roof rack, cycle carrier, kayak carrier, roof box, roof bag, surf board carrier, windsurfer carrier, snow board carrier, ski carrier and snow chains is vital for moving toys and kit. Then where to mount it, roof or tow ball and so the choices go on and on. As a testament we only use Thule carriers on our commercial and domestic vehicles and we have not experienced a single failure in over 20 years. 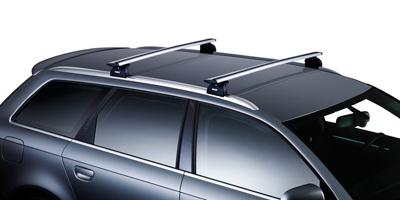 Car Roof Racks UK Ltd.
Thule Roof Rack systems available from Car Roof Racks UK. Huge range of roof bar systems covering all major car manufacturers. 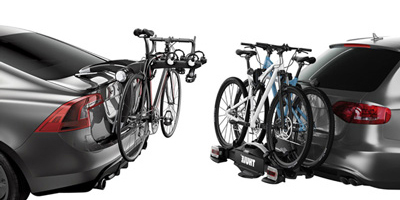 We sell the complete range of Thule Bike Carriers including Towbar Mounted, Rear Mounted and Roof Mounted Bike Carriers. 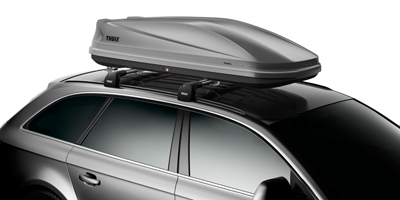 Car Roof Boxes by Thule offer strength, durability, aerodynamics and modern smart designs with a number of models and sizes available.  We stock a wide range of carriers designed specifically to carry sit-on-tops, kayaks, canoes, surfboards and SUPs.